The Vogon Constructor Fleet nearly consumed our Hubcraft in their quest to dot the margins of their interstellar Highway with luxury, designer planets. Only some quick maneuvering by Pilot Ripplemaker kept us from a crushing end. Twisted hulks of deconstructed space-liners litter the shoulders of the super highway in this quadrant - a mute testament to the insanity of indiscriminate inter-galactic paving. 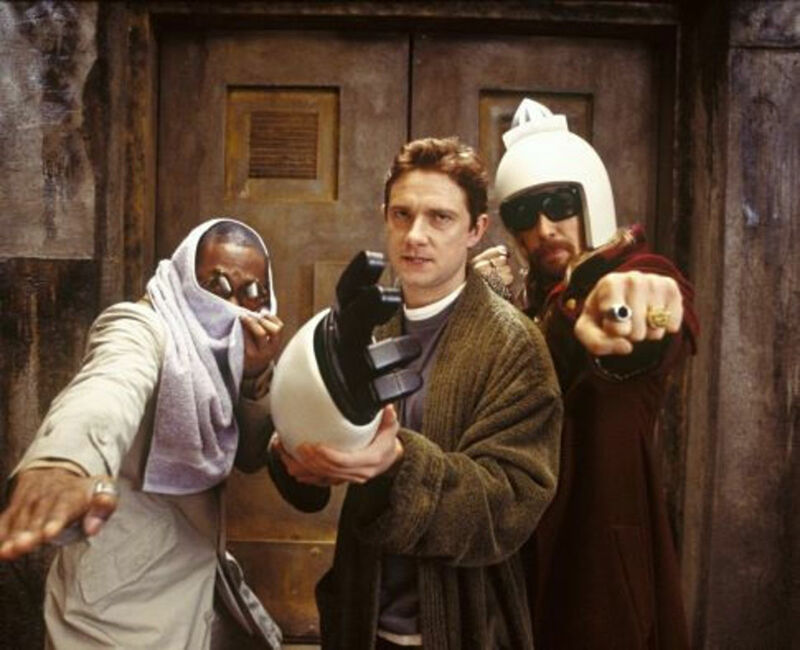 Hopefully, diverting the Vogons to S--Murphystan will derail their agenda, at least for a time, if our experience there was anything to go by. But I digress... We escaped unscathed, and Captain Anderson with Science Officer PI 3.1417hub1417hub have donned spacesuits to check the hull for damage, while Commander Evilpants and his sidekick, Ensign "HubNuggets" Hank, have repaired to the spirits locker, where they are conducting an inventory of our ales, beers, wines, and "hard likker" (that, I believe, is the term they used). We are still all feeling a bit "blue" but the commander and Ensign Hanks are the last of us to lose their taste for Curacao. It is their third such inventory, and Security Chief Zsuzsy Bee is keeping a close eye on the pair, especially since the Australian Ale incident in the "Casino At The Edge Of The Universe", which resulted in the untimely disappearance of RIpplemaker. True, we did find her, three days later, in a little-used storeroom below the aft, after deck, discussing self esteem with a passing Betelgeusian who sensed her positivity and beamed over to chat. "Excuse me, Officer RedElf, I have Mission Control on subspace..."
"Certainly, put them through - Greetings, Admiral Menayan, Commander Ruud..."
"Greetings, Officer Elf. Great news on your team's last consignment of HubNugget Wannabes - Marketing is thrilled with the high quality of the Wannabees. Commander Ruud and her people have been communicating awesomely about them! Well done! My compliments to Captain Anderson and the entire team!" "Thank you, sirs," I began, wisely refraining from asking Admiral Menayan if his "tan" was beginning to fade, just as Commander Ruud broke in. "Maddie here, kitty - we've been reviewing Captain Anderson's report of your mission to the Gamma Quadrant. You'll need to be extra vigilant. We wouldn't care to have any Wannabees accidentally paved over." "Certainly, Commander," I replied, snapping to attention. "...and, kitty, stay out of the men's room. Commander Evilpants says you're making Ensign Hank nervous. As illuminating as your videographies of the cubical doors were - and in all fairness, they received some of the highest ratings ever on ViewTube - you'll have to record your historical data in more conventional settings from now on. Mission Control out." I could feel myself blushing to the roots of my fur. 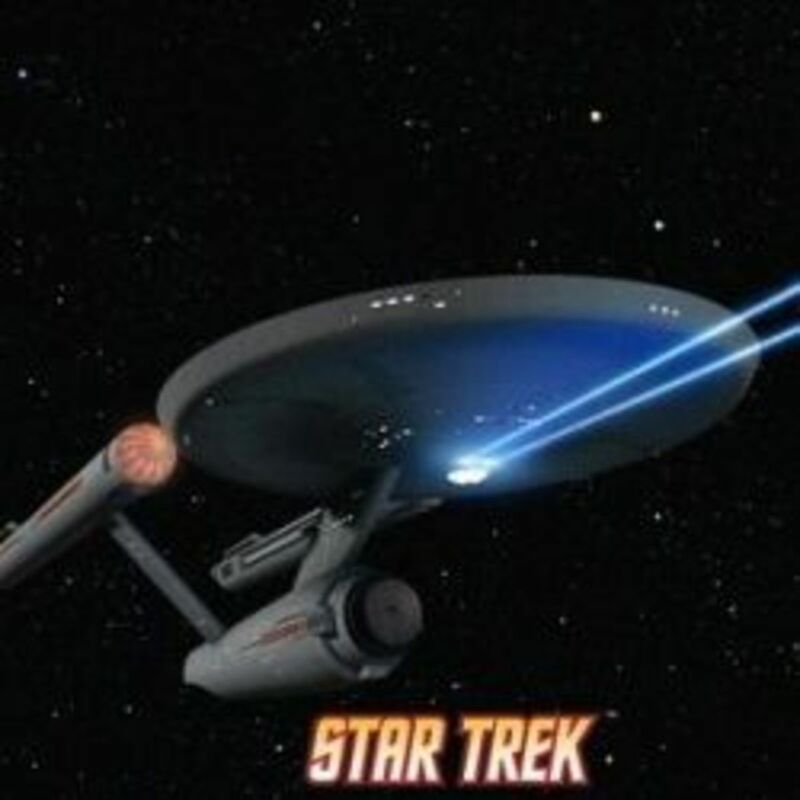 Thankfully, Captain Anderson and Science Officer PI were still working on the hull repairs. Both the captain and the science officer were extremely supportive of my historiographical interests, but of late the Science Officer seems preoccupied with some research of her own, and often mutters about "sugaring the lobsters". She and Chief Bee have been poring over some ancient texts they unearthed back at our last stop. They've run the texts through every linguistics program we have, but so far, they have only been able to decode a small segment of the long-dead language. We are not sure of the significance of the answer yet - the segment just repeats the same thing over and over. (Kinda reminds me of Science Officer PI's full name.) Perhaps if we knew the right question to ask, the number "42" would have more meaning. 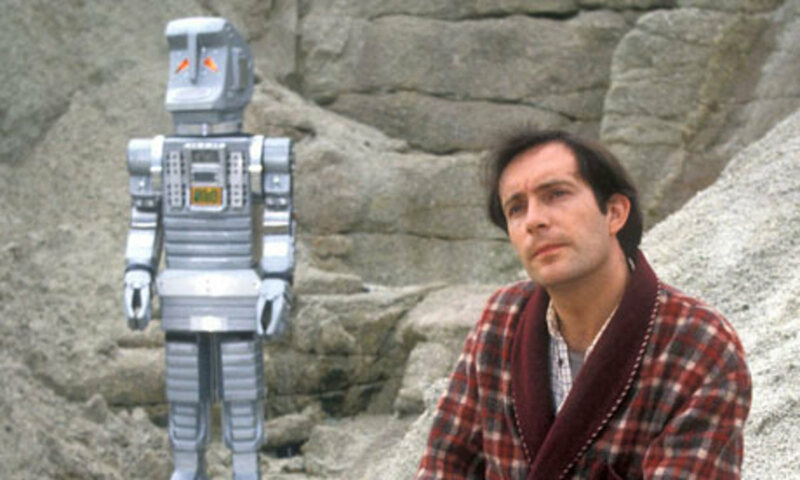 The captain suggested they run it through Ripplemaker's universal translator - the one she used to inter-galactically publish her mega-blockbuster self-help manuals. You've probably read them: "Finding your Inner Alien", "I'm OK, You're an Alien", and "Embrace Your Inner Alien". Ripplemaker is off just now, zipping ahead in her new hubship, spreading joy and looking for HubNugget Wannabees to notify. She also said something about cheering up a depressed robot named Marvin. "Captain Anderson needs us on the bridge, Officer Elf. Bring the disinto-T-ray." "Wow, she means business," I thought. The newly developed weapon-of-mass-de-construction temporarily dis-integrates anything it is pointed at, storing the offending organism in a "time-out" capsule until it calms down and promises to behave. As I followed the Sci-PI (that's our affectionate nick-name for Science Officer PI 3.1417hub1417hub) to the bridge carrying the heavy ray-gun and a very, very, very long extension cord to plug it in (the Hubbertise is a great ship, but the only plug-in is in the galley) we could hear the sounds of a scuffle and loud voices shouting "Don't panic!" We arrived to see a strange trio backed into one corner of the bridge. Commander Evilpants and Ensign Hank were pelting them with root vegetables from the galley cooler (which just happens to be located next to the spirits locker). I stayed out from underfoot, having had my tail stepped on more than once in the last of these frays and quickly scampered down seventeen decks, heading for the galley with the extension cord to plug in the disinto-T-ray. Meanwhile, Chief Bee threw herself bravely into the melee, alongside Science Officer PI and our two brave lads. Jason and Maddie's new mascot. 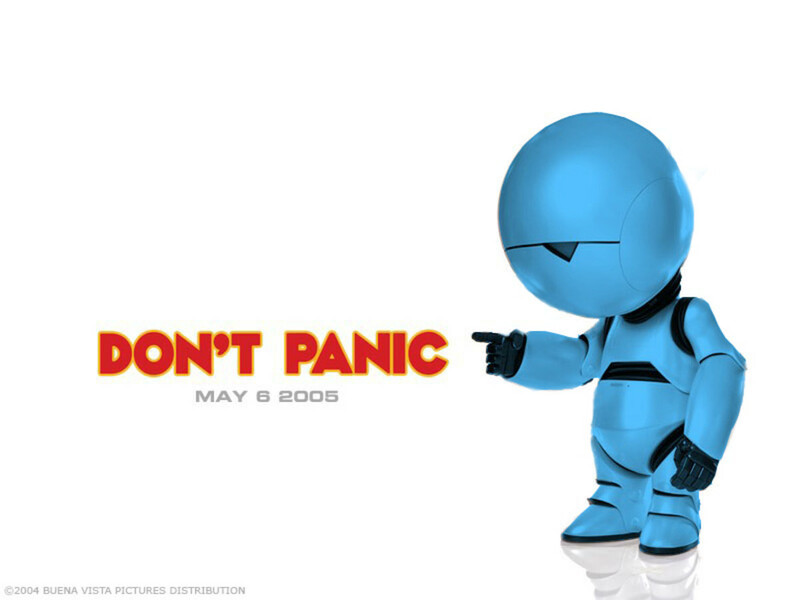 He only ever says one thing - "Don't panic!" After Captain Anderson and Sci-PI rescued the hapless intruders from the rain of vegetables, we recognized one as Ford Prefect, the Betelgeusian we'd met in the aft, after-cabin, chatting with Ripplemaker. He explained that he and his two friends, Arthur, a Terran, and a two-headed chap by the name of Zaphod, merely wanted to hitch a ride out of the Gamma Quadrant. Their space ship, the fastest in the galaxy, had broken down, and they were desperate to get back to Earth. The three were disappointed when Chief Bee explained it was against Hub Fleet policy to pick up hitchhikers, but Captain Anderson offered a tow to our next port of call, as long as they would all behave so we could deliver our cargo, and head in for re-fit. Then everyone would be able to get down to the serious business of reading the latest batch of HubNugget Wannabees, and then voting for their favorites. Which one of this week's Games, Toys, & Hobbies nominees is your favorite? Which one of this week's Pets & Animals nominees is your favorite? 82 people have voted in this poll. Which one of this week's Arts & Crafts nominees is your favorite? 95 people have voted in this poll. Thanks so much for popping in, travel_man. Always nice to meet a new friend! It's not too late to send my kodus for your effort, Red Elf. I'm still repairing my spacecraft, The Travel Man Explorer,that's been damaged here in Pluto with only the luminous light from the moon Charon as my solitary companion. No sign of life here, except me...gotta get outta here...my oxygen reserve will not be enough any minute from now...HELP!!!!! Thanks so much GmaGoldie! Glad you enjoyed all the hubs! Gee, Whitney, thanks so much for catching that! Actually it was decided it would be fairer, with the rotation of topics coming up every seven weeks, to open the eligibility window to three months. My bad - good catch! I've changed that in the instructions! Greetings, ab420. So glad you enjoyed the hub - lots of great new writers to showcase. Whitney, thanks for your comment. I am checking in with the rest of the team and our moderators and will post an answer here. Haha, very funny, very creative! I love "the guide" when I was a little kid. One of the hubbers that has a listed hub joined 3 months ago according to the stats. I thought the rule was 2 months. Nice to meet you, katiem2! Hope you enjoyed reading the hubs! This mission left me exhausted! I got out of bed just in time to vote, though. Turns out spirits and root vegetables are a terrible combination! Who knew? Greetings wordscribe41! So glad you enjoyed all the wannabes! They are great this week as well! Thanks, Crazd! We are enjoying being able to showcase more writers each week, too. I have voted! I love how yu guys set this up with more than just one catagory...makes it harder to vote on us LMAO just kidding! Loved reading these hubs! Voted! Good luck to all, I really enjoyed the reading this week. There were some stunning hubs... The pictures were amazing, as well as the writing. Congrats to everyone for fantastic hubs. Thanks, Paradise7 - such a great crop this time, too. Thanks so much for voting and commenting, markbennis! Great Hub and good luck to all the nominees. Very imaginative, RedElf, and the selections were delicious! Sounds like plan, 'dude! :0:0 Have fun reading! So glad you stopped by to read and vote, Faybe! Excellent Hub, and again, most difficult choices. 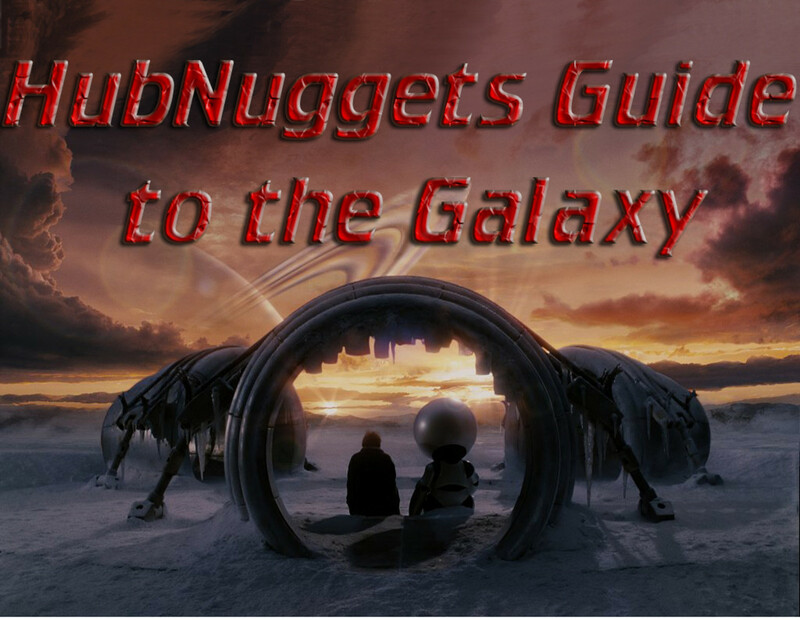 Good luck to all nominees, HubNuggets is the best "contest" on HP. A wonderful boost for new writers. Actually I'm thinking about joining again with a new username. :):) I'll read and vote. Most welcome, rembrandz. Congratulations and good luck! Thank you RedElf for the nomination. It is an honour. I enjoyed this read too!! Most welcome, billy, angela, and voice they are good hubs! Good luck! Thanks sandyspider, so glad you voted! sophs and Pamela99, thanks so much - they're a great bunch of hubnuggets! ainehannah, Christina, thanks so much - it's always fun with such a great new crop of writers! Thanks, Ann - another great bunch, this time! Thanks for voting and commenting! Imelleda, renoelle, thanks both so much for voting and commenting - so glad you enjoyed the hubs! You guys are too much fun! Great candidates! 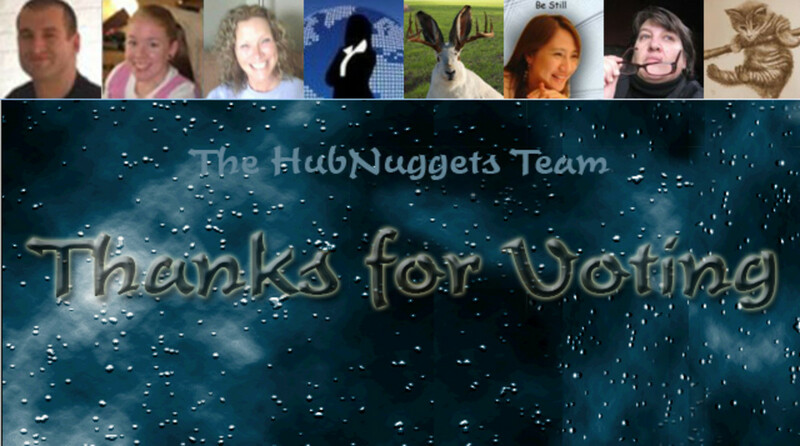 Another great bunch of hubnuggets! Well done all of you! and congrats to the hubnuggets team! Fun hub!!! Just got done voting from a very good selection...it was a bit hard to choose but well done all of you hubnugget nominees! Congrats EVERYONE, thank you Redelf and to all much success here at HP!!!!!!! Another great selection of nominees! Good Luck to Everyone! Another great group of hub nominees. Good list. Excellent report, Officer RedElf! Don't you just hate summer construction? What on earth would we do without Chief Bee's disinto-T-ray? I'm glad to hear that you'll be leaving the men's room out of future videographies, although I'll miss movie night. I think "Cubicle Doors in Repose" is one of my favs. I shall return to do my Galactic duty at the polls. For now, I want to wish all of our wannabes the very best of luck! Promote yourselves, proud wannabes!! Wonderful nominees. I enjoyed reading this. Thank you so much for nominating me. This is totally awesome! Thanks for choosing my hub - lets see if Superman still has it! The hubship is now "parked" and I must say I had the most enjoyable ride today Red Elf. Marvin has come around and is playing around somewhere. LOL Gotta say our life around the Hubnuggets is never dull. Congratulations to all the nominees. Promote your hub to your family and friends and get them to vote please. No more shyness. Just do it! Hahahah Have fun! Hi, Candie V! nice to see you here. I "joined up" in the summer (I think it was the summer? maybe the fall) too much Curacao - not sure, now! You're one of "THEM" now? Or have you been all along? Where have I been? Clearly feeling like I'm a mushroom. Love your sense of humor Officer Elf! Thanks, Enelle - I keep trying (maybe one day I'll get it right!) Seriously though, thanks very much! Glad you enjoyed it! Hey Zsuzsy, my Bee, perhaps we'd better lay off the blue stuff for a bit? 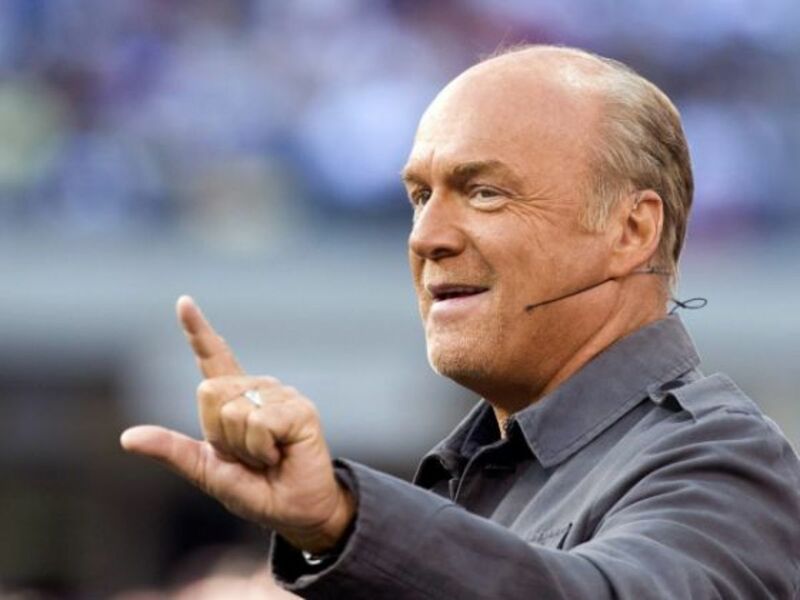 You were a great inspiration! Sci-PI, how nice to see you! You mean those two actually left some Romulan Ale? I am impressed. Thanks so much, Hh - you are really great at coming and commenting, too. Thanks, my friend. Thanks so much, AEvans! II love the whole HubNuggets program, but I must admit it's writers like you coming to vote and comment that make it even more fun for me! Thanks, pinkylee! So glad you enjoyed it. ripplemaker, so glad you found your way back! Good luck with Marvin! I'm sure he'll come around! Most welcome, hubranger - it is a great hub! Keep writing! voted and these are all great hubs! You really are fantastic in putting this all together. Thankyou for a great read. Plug that extension cord back in!-- Oh,sorry - I'll go vote now. Looks more like Romulan ale...No, don't plug the cord into it! Congrats to all the hubnuggeteers. I love each and every hub this week...some amazingly great writing. Most welcome, lorlie6. It was great fun to work on - always such a lot of good writers out there! Wonderful nominees, RedElf! Thanks for putting this together in such a wonderful way!